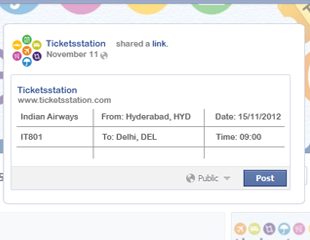 Ticketsstation.com will assure its users of the lowest fare, fastest search and most comprehensive comparison of options. Get Alerts as sms and emails about flight delays, cancellations, and gate changes all through ticketsstation We intend to keep our customers free from worries and make their journey comfortable. Share your trip and travel with fun! Share your itineraries with family, friends, and co-workers to keep them in the know through facebook. 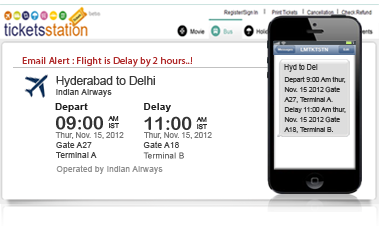 Not only that you can also see if any of your friends who are going on the same flight or going from same airport at same time. You can also see your co passengers and if you want you can make friends and filled your journey with fun.